Many technology businesses are trying to do the right thing by hiring for diversity. I’ve seen a few examples of job ads from companies who clearly have so little experience writing job ads, or spend so little time thinking about what the ad is saying, that they end up offending their target readership. If you want to attract the right people to your business, you have to be the kind of business that those people would be proud to work for. Attention to detail in a job ad, especially in software development, is at least as important as attention to detail in a CV/resume. It’s important to pay attention to gender, sexual orientation, and culture in your job description. 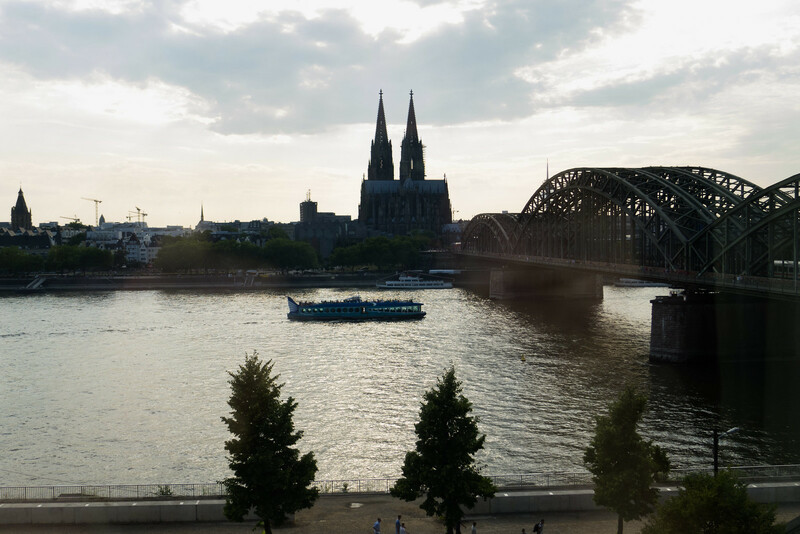 I recently attended Railscamp Germany 2013, which took place in Cologne. I met a lot of nice people there and had the opportunity to help out Anja, Bettina and Sabrina with their cool Rails Girls Summer of Code project called “SpeakerInnen”, an app to help get more women speakers into conferences—a very good idea. Our productivity was ever so slightly compromised due to the 38C/100F heat that day, but we still got some useful things sorted out. But we were actually productive Ernesto Miguez and I had even squashed a tiny SASS bug in the Railscamp “sessions” app earlier in the day. I’ve been sending out a fair few messages to potential sponsors, applicants, volunteers and coaches for Rails Girls South Florida. To make this job easier, I edit all my documents using Markdown syntax. I find myself repeating a lot of the same information, so in order to DRY up my Markdown files, I create them from several different components by using template folders. I do it this way because Markdown has no native way of including sub-documents into a main document. Each template folder contains symlinks to each section Markdown file. Each symlink is named so that it appears in the right order inside the final document. I use Marked.app to view Markdown files, so having a complete file is convenient for me. Here are three talks on testing in Ruby I think all developers should see. I’ve presented them in the order in which I think they should be watched. Sandi’s and Katrina’s talks in particular focus on what testing gives you and what you should be testing. Andy’s talk is a live coding session in which he TDD’s a library. In the last several months, there have been several new arrivals on Exmouth Market. The latest shop to open up is Yog, which sells low-fat frozen yoghurt. Their prices are quite high (£ 3.20 for a “regular”), but they are very refreshing in the recent warm weather and their service is very friendly. The Japanese restaurant Bincho closed, and in its place is the Potato Merchant, which does American steakhouse-style “twice baked” potatoes where the potato is baked, then the starchy insides are mixed with (generally fatty) fillings, put back inside the skin and crisped up in the oven. I almost avoid stodgy foods at lunchtime, so I haven’t bothered with them. The premises that had stood empty for months after the Starbucks shut down is now a Hummus Brothers. Ironically, I don’t particularly like the hummus there, but the falafel wraps are very good and about as healthy as a deep-fried food can be. And finally, in the market itself there is a new stand (all the way on the Mount Pleasant end) that sells Brazilian brigadeiros. It’s called The London Brigadeira. Brigadeiros are sweet truffles made of condensed milk and various flavourings. They are very nice, and quite addictive. You should definitely stop by and say hello to Emma, the proprietor—there are free samples, after all! Copyright © 2010–2013 Damon Davison.